Fantastic customer service is at the heart of great events. What goes on behind the scenes with our dedicated staffing team is key to driving this. Tori Jackson, C&E staffing coordinator gives us an insight to her day to day. 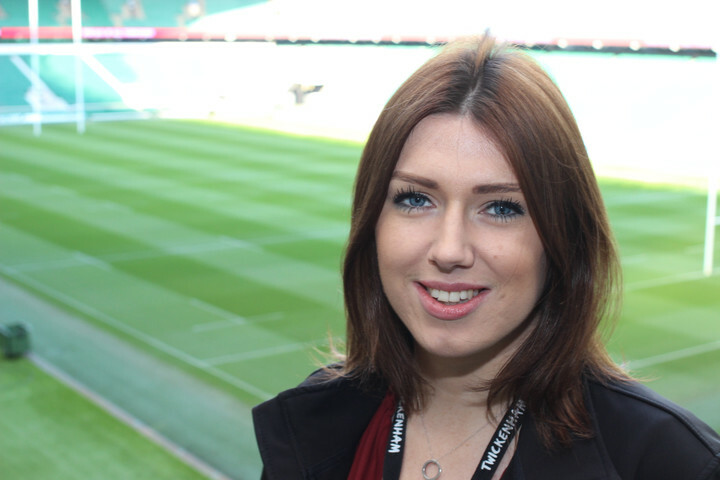 Tell us about your day to day at Twickenham… Some days are busier than others, from day to day I deal with staff welfare and feedback. I manage staff bookings, confirmations, timesheets, visitor passes and uniform laundering. When possible I'll have a walk around the event floor, checking uniform standards are adhered to and ensuring the staff are happy and working well. I'm lucky enough to have support from great event managers when it comes to praising and disciplining staff. Have you had any strange requests from C&E clients regarding staff? Sometimes we have butlers and mixologists requested - mixologists are always fun & quirky to have as part of the team. We've also had clients request the staff wear t-shirts or aprons provided by the sponsor, which can be a nice change from the usual uniform. Roughly how many staff are on the books? We have around 550 front of house staff recruited and trained by the HR team, 50 of which are regular conference and events staff. What's the most number of staff we have onsite at one time? In the time I've been doing this role the maximum number of staff I've booked is around 150. It's rare we have this many, but in cases like the Christmas parties and large conferences we can definitely accommodate it. What challenges do you face? I would say the most challenging part of my role is managing ahead and preparing for staff sickness. Ensuring we overbook staff for large events to meet the operation and client needs, whilst also meeting a financial target. It's a balancing act between too many/not enough staff. How do you go about recruiting new staff? Our key audience is students & local people looking for casual work which can be flexible around their studies/other commitments, so we often visit local colleges and universities to help drive recruitment. Candidates who meet the criteria are invited to an induction & training sessions here at the stadium, where the operation team and I work together to teach and train the candidates hospitality and retail skills. What's your favourite space at Twickenham? My favourite space is the Member's Lounge - it's the first place I worked when I started as a casual at Twickenham in 2012 and I'll never forget the first time I saw the pitch from up there!